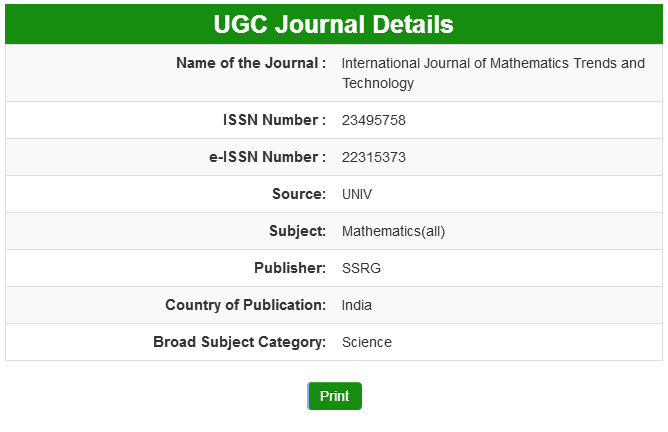 International Journal of Mathematics Trends and Technology - IJMTT follows quick evaluation method. In order to substantially reduce the time to publication as compared with traditional journals. Submitted article result will announce as soon as possible, Editorial board members will make the final decision. Submit the original article without any plagiarism and copyright material. Each paper will be reviewed by at least one expert and maximum five. Report will send to authors with registration instruction. Final document will evaluate by technical committee whether author modified document as per reviewer suggestion. Published By: Seventh Sense Research Group.